The SLiM Rail from Daniel Defense utilizes the KeyMod accessory attachment system for incredible weight savings as well as superior cooling, ergonomics, and modularity while maintaining the strength and durability expected from Daniel Defense. KeyMod is a recoil resistant, two-part, direct attachment method for accessories that offers outstanding “return-to-zero” when accessories are removed and reinstalled. The SLiM Rail features the battle-proven “Bolt-Up System” which provides modern flat-top upper receivers with a free-floating, continuous, uninterrupted upper rail platform and allows for simplified alignment to the host weapon upper receiver. Ambidextrous sling swivel attachment points are integrated into both the left and right side rails at 1 and 11 o’clock. 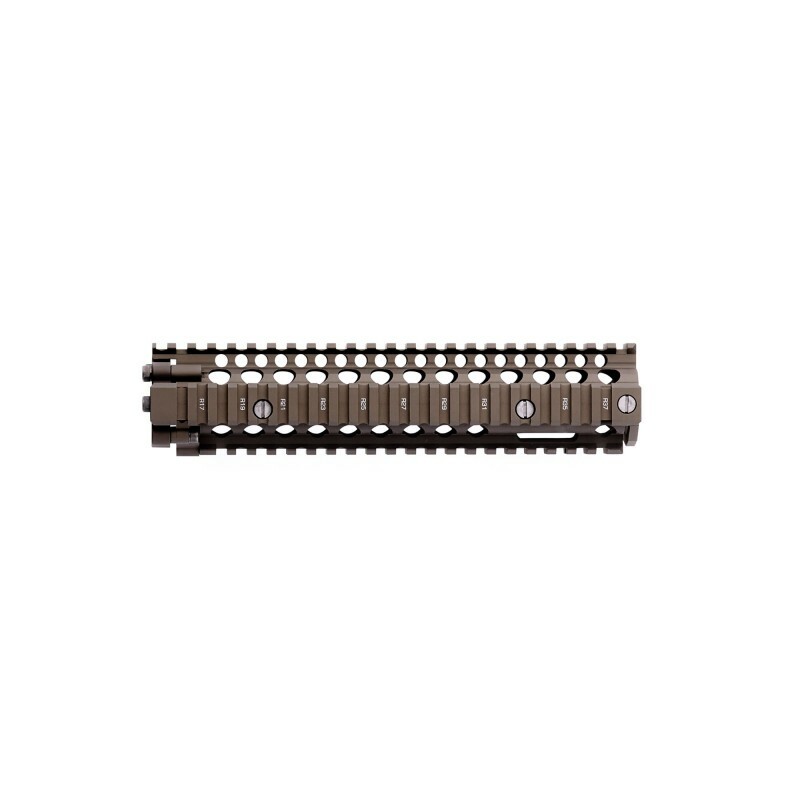 The SLiM Rail 9.0 can be used with a low-profile gas block on pistol, or carbine length gas systems.